The 3/4 Cav Reunion will be held in the Greater Cincinnati Area from 25 to 29 June, 2008. Here is the list of troopers planning on attending the 2008 reunion. Email us to add your name to the list. If attending you need to register ASAP. Registration forms at the association website. Thanks! Last year I wrote that unfortunately for many of our citizens Memorial Day is a day off and a barbecue. The real meaning and purpose is lost to them. I am now feeling that things are changing. This morning I went to church and instead of the usual sermon the church spent the entire hour honoring those who have sacrificed in service of our nation. A veteran from WWII, Korea, Vietnam, and the Gulf War from our congregation was interviewed in a in video about the effect their war had on their lives. The pastor related their sacrifices to the freedoms we enjoy today. Members of the congregation who served our country were called up to the stage and presented an engraved medal from the church thanking them for their service. All of us were deeply touched by this gesture. 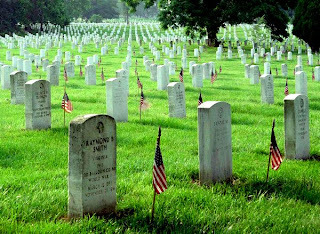 Of course the real purpose of Memorial Day is to honor those who did not return. This past weekend I know that you will have taken a moment to remember our fallen comrades and their ultimate sacrifice for our freedoms and way of life. 85 of our fellow troopers during the period April 1965 to September 1970 made this sacrifice for us their fellow soldiers and for our nation. We owe it to them to honor them in our thoughts and actions. My thoughts were on 3 fine young men who did not return: Sgt Thomas Robertson, 2nd platoon; Lt. Charles Ayres, 3rd platoon; and Sgt. James Feeney, 1st platoon. Many of you I know participate in local Memorial Day ceremonies. Some of you participate in Rolling Thunder at the Vietnam Memorial in Washington D.C. Your actions help honor these heroes. The actions and service of these heroes is a credit to our nation. They should not be forgotten. If you have a remembrance of a fallen comrade or other story about one of our 85 fallen heroes, please feel free to post it here. Take some time this month to remember these fellow Troopers who served with us and did not return. They made the ultimate sacrifice for their country and for us, their fellow soldiers. They will always be in our memories. The following heroes were casualties during the month of May. Memorial bricks still need to be purchased for these soldiers. Go to the Memorial Brick page for more information.